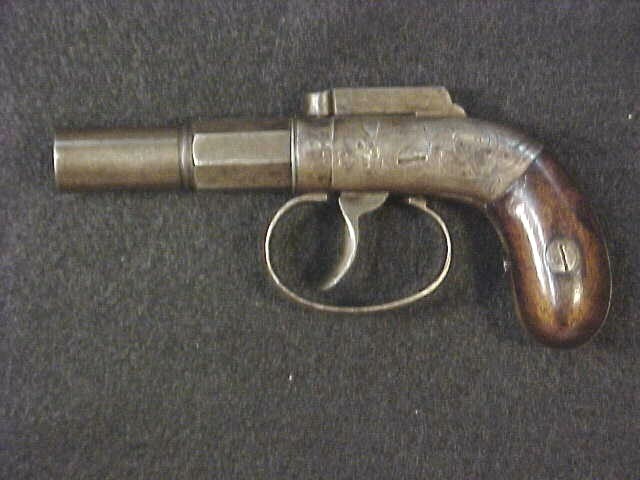 Unmarked ringtrigger percussion peperbox , cal 31. Seems to be Blunt and Syms, same mechanics, engraving and ringtrigger. 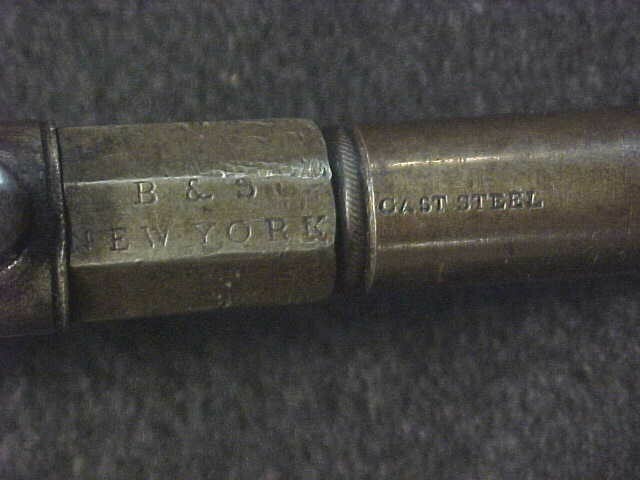 Very unusal beveled end of the barrel. Total length is 6 1/2 inch, barrelcluster is 3 inch. 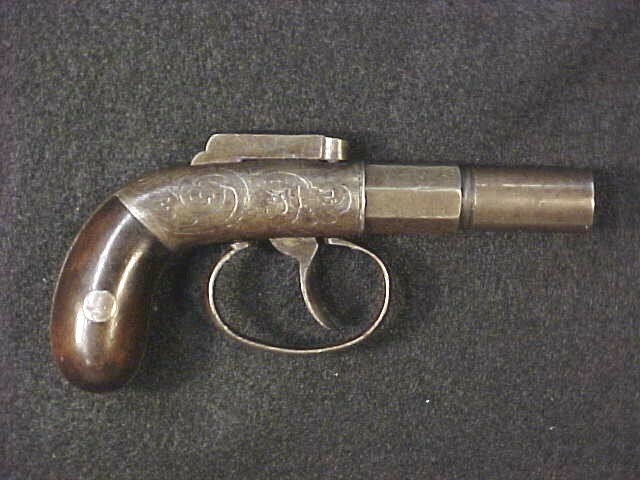 Bunt & Syms single shot pistol side hammer in calibre 36 with 5 inch barrel. No markings on frame whatsoever, but this is common with this brand. 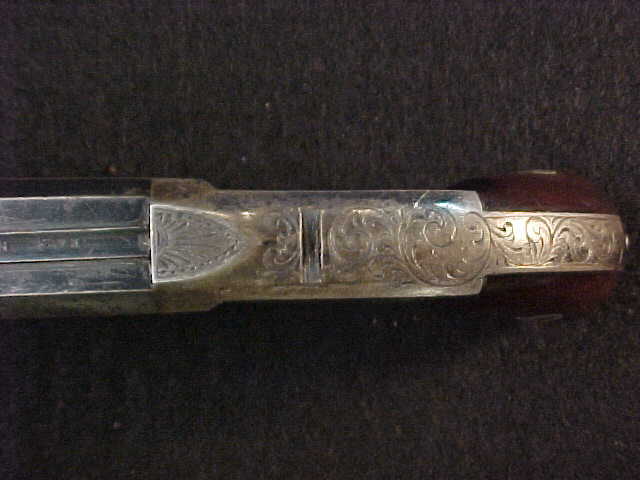 Factory engraved, rosewood grips, overall grey gun but very sharp looking. Serial no. 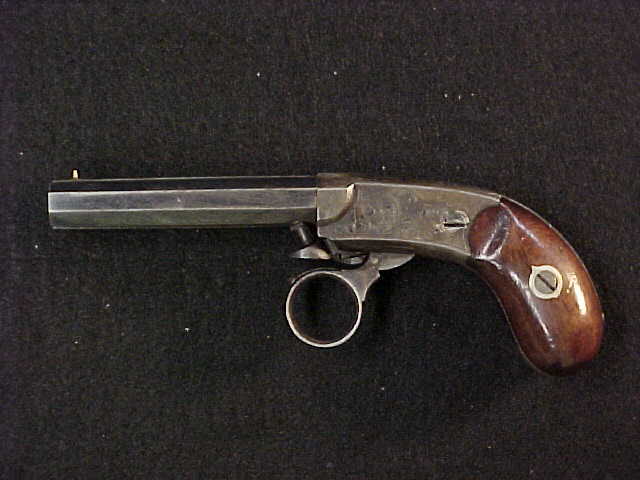 26; .28 caliber, 2 inch part round, part octagonal barrel, without front sight; marked on top of breech, B & S/NEW-YORK and on top of round portion of barrel, CAST STEEL; scroll engraved frame; varnished walnut grips. Many thanks to "GREG MARTIN AUCTION" for the photos. Serial no. 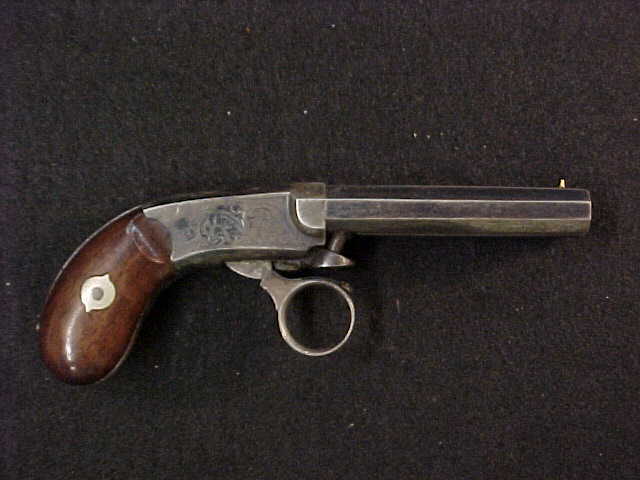 19; .34 caliber, 3 inch octagonal side by side barrels, with brass pin front sight on center rib; marked on rib J. B & S N.Y. CAST STEEL; scroll and border engraved; ring trigger; varnished walnut grips.